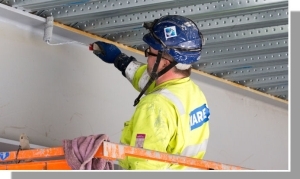 Unite is calling for a radical overhaul in how construction training is undertaken, after unearthing a large increase in so called ‘dead end construction courses. A freedom of information request to the Government’s Skills Funding Agency revealed that 203,400 people undertook a full-time or part-time construction course in 2016/17, a five per cent increase on 2015/16, when 192,500 such courses were undertaken — a 14 per cent increase on the previous year. The vast majority of these courses are considered to be ‘dead end training’ as they are not linked to an apprenticeship course and are purely classroom based. In 2016/17 just 21,010 (10 per cent) of these courses were linked to an apprenticeship. Without a workplace element, trainees are unable to attain an NVQ, which is the only recognised qualification in the construction industry. The findings come at a time when the Construction Industry Training Board (CITB) estimates the industry needs 31,600 new entrants every year. This figure could rise further as a result of Brexit, as the industry has become very reliant on migrant labour, especially in London. Unite believes that the funding which is being pumped into further education colleges, private providers and third sector organisations to provide these courses needs to be refocused, with the money being used to promote a greater number of genuine apprenticeships. There is no shortage of people applying to undertake an apprenticeship. On average 35,000 apply every year to the CITB to undertake an apprenticeship, whose courses are primarily focussed on the biblical trades such as carpentry, bricklaying and painting, as well as civil engineering. On average 19,000 apply to the JTL which undertakes electrical apprenticeships. On average the CITB is able to find places for just 6,000 apprentices a year, about 17 per cent of applicants, while the figure for the JTL is 2,000, or 11 per cent. It is even more difficult for women and black and ethnic minority (BAEM) candidates to secure an apprenticeship. Just 5 per cent of women applying to the JTL secured a start, while the figure for BAME candidates was little better with just 7 per cent securing an apprenticeship. “These figures show that the current construction training system is broken,” said Unite assistant general secretary Gail Cartmail. “Young people are too often having their hopes of a construction career crushed as they end up on courses which can’t provide the qualifications they need. “Thousands of people are applying for apprenticeships but there are not enough places available, yet at the same time construction colleges are piling on ‘dead end courses’ which deny young people the qualifications needed for a career in construction,” she addeed. “In two years we have had nearly a 20 per cent increase in construction courses at a time when there has been no significant increase in apprenticeships.